This Lending Platform is Helping Small Businesses Qualify For up to $250K in Just 10 Minutes! Kabbage, the leading lending platform for small businesses, is extending its access to more customers and even more funds. With the help of automation, small businesses are able to qualify for up to $250,000 in funding in just 10 minutes through Kabbage. 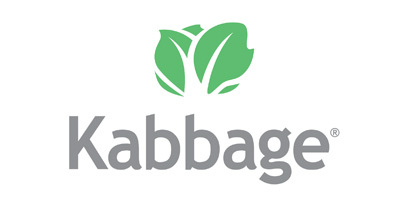 Founded in 2008, Kabbage has recently been lending over $10 million per day to small business. In line with that, more than 30,000 new customers have signed up this year and 1,400 businesses are being funded daily. According to reports, the company reported its first $500 million quarter in 2018. "It was a great growth quarter for the company, and is a direct result of developing flexible and convenient solutions that simplify accessing capital for small businesses," Kabbage CFO Scott Rosenberg told Benzinga. "Kabbage's continued growth is rooted in the real-time data relationship with our customers and the flexible products we deliver to strengthen small businesses any stage with greater cash flow at any moment," Kabbage CEO Rob Frohwein said. "The high-repeat use nature of our 150,000-plus customers demonstrates their affinity for our products and the endless possibilities we have to serve them into the future." Definitely, the company has seen rapid development with the use of convenient alternatives such as technology. Kabbage customers will be able to have secured a line credit whenever and wherever through just the computer or their mobile app. Rosenberg believes Kabbage has really great potential considering its success now. "The growth stats show that small businesses’ expectations are shifting, and will continue to shift as the market provides them more convenient solutions to access capital," Rosenberg said. "Kabbage licenses its automated lending platform to global banks so they, too, can offer their small business customers a better lending experience in their local markets. That type of adoption is great for economies and especially small businesses as they have the financial opportunity to grow."